MyMemories Blog: Meet this week's *Featured Designer* ~ Mel Hains Designs! Meet this week's *Featured Designer* ~ Mel Hains Designs! My name is Mel and I live in Durban, South Africa. I live with my fiance (we getting married in 2014) and my daughter Savannah. She is 9 and I love spending time with her, she is fabulous! I still love designing as much as I did 4 years ago. It is something that feeds my soul and it makes me happy! My designing style has always been a bit "doodly", I love designing themed kits and I think I definitely gravitate towards "girl" kits more. I have been trying to make more "boy" kits and I must say, it is a lot of fun. I am also a full time photographer with my partner Damien. MAD Photography is slowly growing and taking pictures is one of my favourite things to do. I love playing with the images afterwards, trying actions and textures. In my spare time (LOL!! uhm what is that?) I design or do scrappy stuff such as surfing the net for inspiration, looking at new fonts, forum hopping etc. I love watching movies, documentaries and series. My favourite movie at the moment is 'Act of Valor' and favourite series, "Breaking Bad". I also have a huge passion for music (I can't listen to country music though...) and Wikipedia. Researching and asking WHY is a lot of fun. I think in another life, I would have made a fabulous detective.. Hehe! I am having a great sale for this week and stop by my blog to pick up all my add on freebies. I also have a freebie if you like my facebook page! I am looking for a theme for a new kit, something different and fresh. If you have a fabulous idea, let me know and you can win MY ENTIRE STORE! Yes, thats it! Post an idea here and you could add all my designs to your stash!" and from last week's fun giveaway, if you are DreeGetz, Stacey, Missy Roth, EssayPapers, or Rosewendy... YOU are the Lucky Ducks!! Please visit Sassy's shop and choose your favorite kit. Email me the complete name of the kit you chose, along with the email address your account is registered with at MyMemories.com and we'll get that kit added right to your account! Email: LisaJ@MyMemories.com. Her kits are adorable! thank you so much for the chance to win her store! How about a mermaids & pirates kit? I'm thinking a kit based on holiday traditions outside of the typical Santa: Kwanzaa, Sweden's Santa Lucia, etc. I would love to see more kits for scrapping dogs. No particular focus on breed.... just oriented to all doggies!! How about a fantasy kit with Fairies and dragons? Thank you for the chance! I would love to use a really playful and bright miniature golf kit with lots of cute little putting obstacles like: wind mills, lighthouses, curly Q's, clown mouths, etc. Maybe some beautifully colored balls and putters. And maybe some fun consession foods like corn dogs, french fries, and ice cream cones? I see everyone lots of good ideas, good luck :) Thanks for the chance! Mel's kit are lovely and fabulous. Love them always! Wow what great kit ideas already. I would like to say an ice fishing kit would be great, I haven't seen one of those around!!! I could also benefit from a kit maybe called "First" as in First steps, first haircut, first tooth, etc. Thanks for the chance to win your store!!! You have great designs already! I would love to see a rugby kit. Rugby is just starting to catch on in the States but is so popular in Europe, NZ, Australia, etc. Wow I'm still new at digital scrapbooking and what a plesant suprise to see someone from SA - Please how about Matric Farewell and Veldschool true SA style. Thanks. Thank you so much for this post. 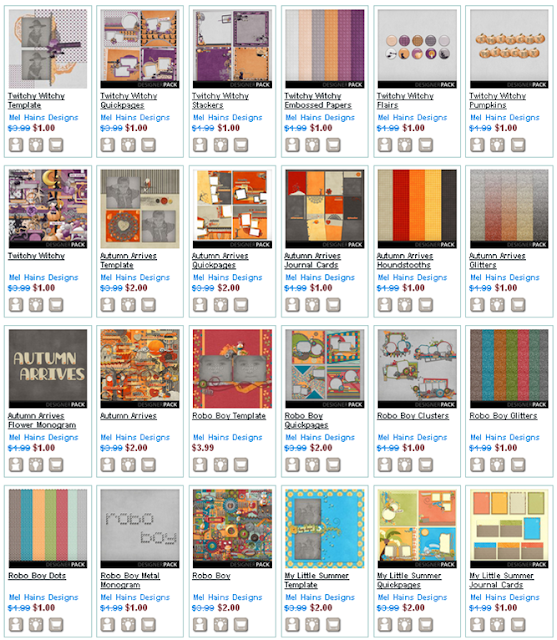 I want to let you know that I posted a link to your blog in CBB Digital Scrapbooking Freebies, under the Page 2 post on Oct. 09, 2012. Thanks again. I love your I'm the Birthday Girl Kit. How about an add-on for that kit that has things like 1st birthday, and I'm 2 years old. And maybe a quick page that has a place for all eleven month pictures with a bigger one for the 1 year picture. Making an album for my daughters first birthday is what made me want to start so maybe there are more people like me. I also like the idea that Gina had about a Fairy kit. That would be so cute. My kit idea is When I Grow Up - a kit that encompasses the hopes and dreams of young and even old. I hope you find the inspiration you're looking for! How about a musical instruments theme? Many people play instruments of some sort but I rarely see kits for them (strings, brass, woodwind, percussion, etc.). It'd be perfect for all those recital pics! Love the kits! Has there ever been any consideration of designing a kit for brain tumor (cancer-gray ribbon) awareness? Really cute designs. When I see the kids in the cowboy layout it makes me think how I've been looking for clipart/layouts with woman (e.g. women in dresses, women gardening, etc. I also want more birds and bird related clipart/layouts. Love doing layouts where ....a little birdie told me stories. And, I find it hard to find quilting & sewing related templates and can always use more of those too! I know a little boy who is passionate about knights and castles etc at the moment. A kit with those elements- and perhaps a little dragon and fair maiden- would be great. I would love to see someone design a kit for brain tumor (cancer) awareness. The awareness color is gray and I would love to see what you could do with it. My husband lost his 5 1/2 year battle with brain cancer on Thanksgiving day, 11-24-11. This kit would mean the world to me and all brain cancer warriors, especially if part of the proceeds went to brain tumor research, such as the American Brain Tumor Association (abta.org). The Robo Boy-themed kits are absolutely adorable. I think that one is going to really catch on. Found My Memories via Hello the Mushroom's blog giveaway:). Cool! I just saw that I won. Thank you so much! Time to get shopping! Love all the kits! How about something for prince and princesses,castles or Chinese New Year or St. Patrick's Day or baby showers or for the family or for everyday life. I'm so upset my comment from last week never showed up, bummer. Well anyway better late then never... I've been wanting a hair cut kit for a while now. Something geared towards kids, both of mine are going to get their 1st haircut pertty soon!!! Also just reading through all the other great idea and I would have to agree that an ice fishing kit would be great!! How about a summer christmas kit. Living in NZ our christmas is spent at the beach, so loads of great pictures to scrap with but need something other than snow and cold to scrap a christmas theme page with? I know this is late but I thought I would share anyway! I would love a book worm theme. Both my little ones (3 and 1) are absolute book lovers and will spend hours looking through books and listening to stories. I have a ton of pictures of them amongst piles of books, and sleeping with books etc. I would love to see a theme that is geared towards children and books. Thanks for a chance to win your store! I love all your creations! I would love to see what you would create using a Hispanic Herritage theme. Being Hispanic and a crafter I rarely if not ever see any themes with third countries symbols, cultures, images or phrases. I would love to create a scrapbook for my parents in Spanish where I can add their pictures as children. Hi, your kit is so fabulous, how about a kit with cooking competition theme. because i really love to see reality show with this theme.